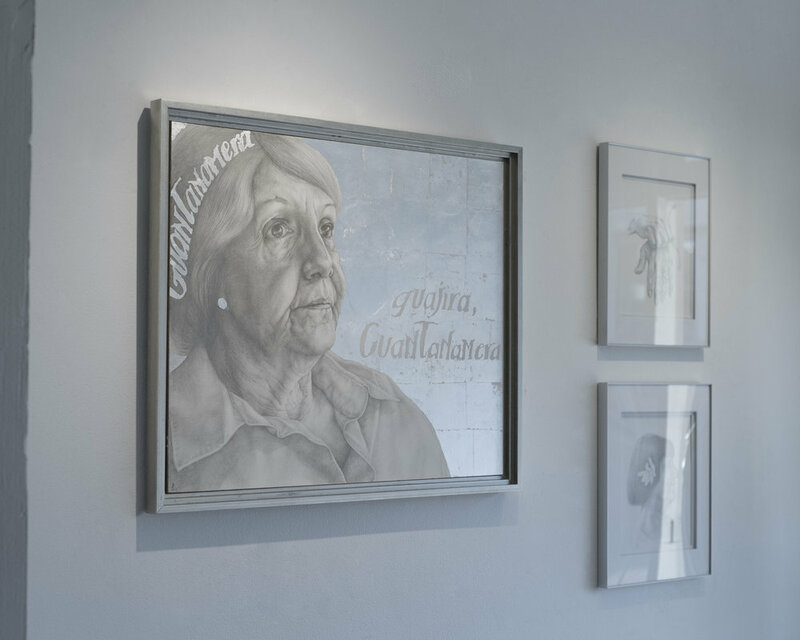 Due to the difficulty of photographing silverpoint, it is helpful to have a gallery of some installation shots to give an idea of how very different they look in person. To avoid inevitable glare from the highly reflective quality of the metal, the most detail-catching images truest to the medium's actual value range are photographed in low light. This makes photo documentation of the work somewhat misleading in that the darker, grayer backgrounds appearing in photos are, in real life, a bright white ground.